In this area, we're blessed to have sprawling Hudson Valley landscapes filled with beauty, majesty, and the splendor of Mother Nature. As such, most home and property owners want to make the most of their tiny slice of earth. The increasingly popular hobby of landscaping is not just for fun - by designing our yards with the same detail and aesthetic quality that we design our homes, we're increasing the value of our home, while adding value to our own time spent outdoors. 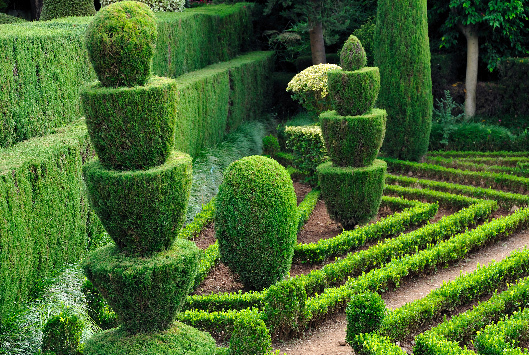 Landscape design is skilled art, and no one does it like the true professionals. With an expansive knowledge of spatial concepts, architecture, plant life, masonry, and science, the components of landscaping are fused into an art that results in relaxing, functional, playful, tranquil, useful, practical, and simply beautiful spaces for our homes, businesses, friends and family. By allowing us to complete your landscape design, you'll be on your way to getting the dream yard you've always wanted. We'll work closely with you to help you achieve your vision. We'll help give life to the ideas you've had for a while now, and offer some new and supplemental suggestions to continue improving on the ideas you already have. We'll help determine the best plants for the best locations, depending on sunlight, shade, and water drainage. We'll offer ideas for stone work, "hardscape" features, and other landscape design elements that will give your property a totally thorough and thought-out vision. We know you know your property better than anyone else - both in form and function. With your knowledge, and our expertise, we can achieve the kind of backyard you've only been able to dream of. Allow our talented team of landscape designers and landscaping professionals get you the yard you've always wanted.